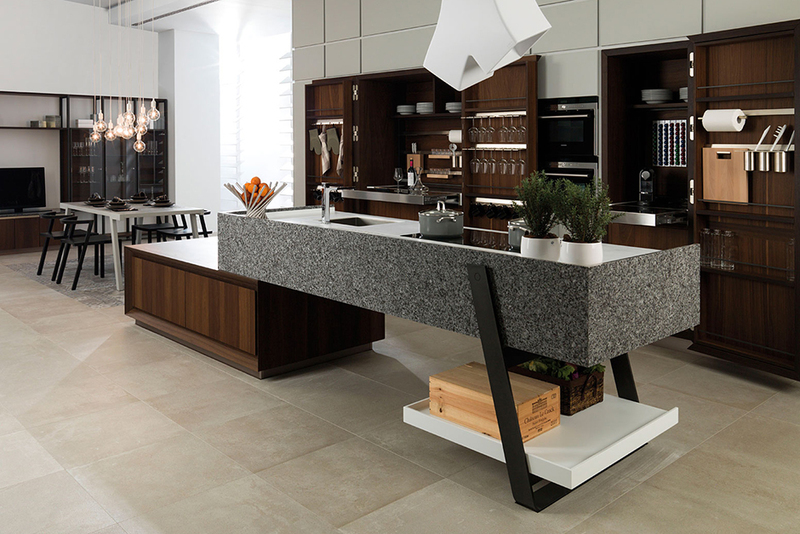 Gamadecor, a Porcelanosa company has introduced a brand new collection of state-of-the-art kitchens. Not only achieving the most innovative designs seen thus far from the Porcelanosa brand, but also achieving and implementing the latest technology invented for kitchen usage. 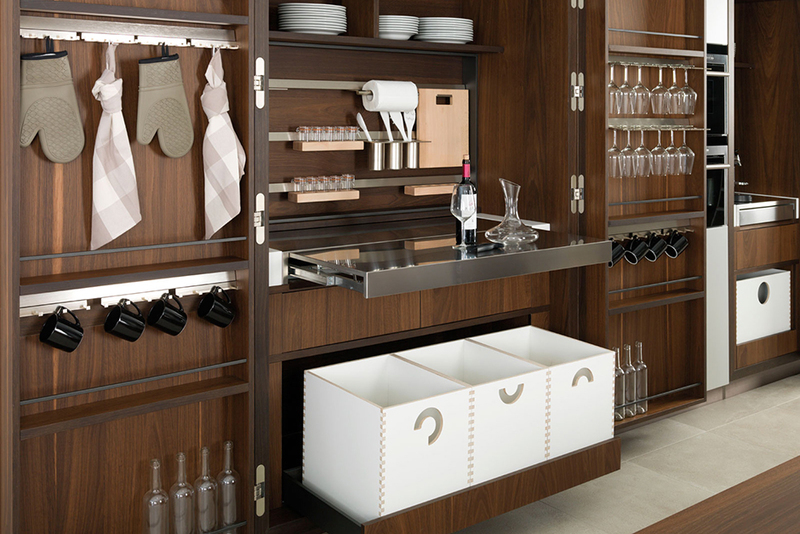 All Emotions kitchen interiors have been edged with laser technology, achieving a truly sealed, flawless finish. Taking this a step further, Gamadecor enhanced the ‘Ghost’ series by using a stratified, matt, high-pressure finish involving nanotechnology. The results offer not only an exceptionally durable surface but a surface with self-regenerating properties including a fingerprint-free effect. 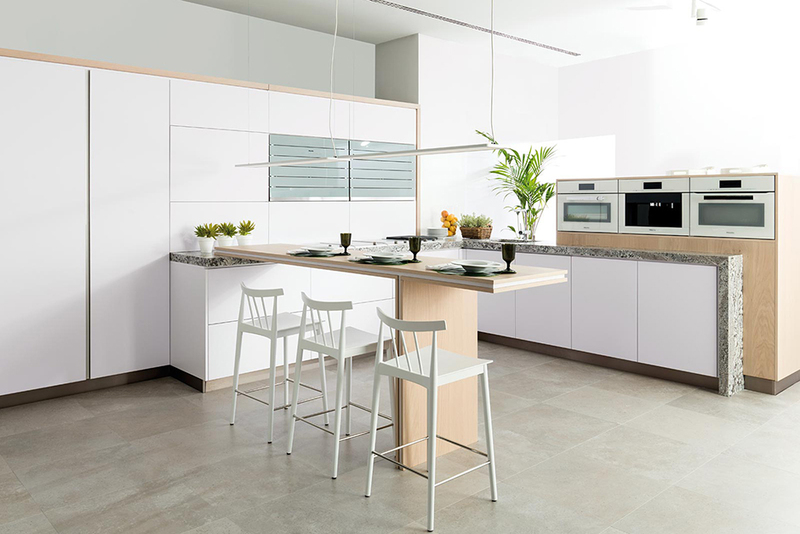 The materials are resistant to scratches and burns which are ideal in a kitchen environment. The dry-heat resistant surface has been created to withstand changes in temperature which helps with deformation when in contact with items directly off the stove. Pairing urban and rustic design together Gamadecor created a modern yet minimalistic kitchen series perfect for those in search of charm but not wanting to settle on quality and function. Using a precise mechanical process Gamadecor cuts the soft tissue of the wood which is followed by a carefully soft sanding treatment. Results here leave the wood’s darkest of grain visible maintaining the authentic and natural soul of the material while still creating a beautifully durable kitchen. Gamadecor’s Emotions line provides something for everyone from bright bold colors in the E6.90 – Azul Cobalto model to extremely innovative installations such as the E5.30 – Roble Alba model. There is a kitchen for any design style. 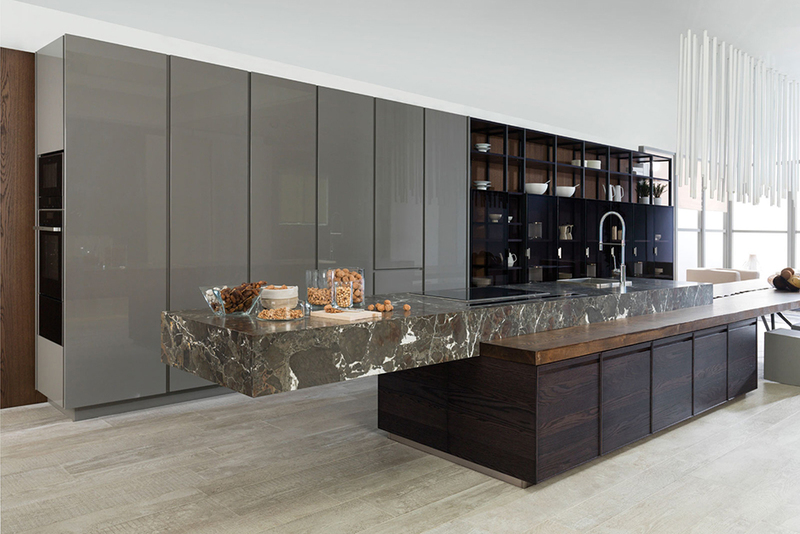 The latest generation of kitchens has arrived – what is your style?